Tri-State Window & Siding Co. Inc. is proud to serve the New Hampshire community as a high-quality home improvement contractor. Tri-State has been in the home improvement business for over 30 years. Same name, same market, same people and the same great quality and service. We think that says a lot about our company. We believe in providing quality products and services to our customers, many of whom have returned for project after project over the years. We do not offer Cash Back, we have no Special Coupons for $$$ off your project. There is no High Pressure, No buy today or miss the opportunity to save tactics....No Gimmicks! We leave this unbecoming behavior to others in our industry. This just is not the way we do business. We do however want your business and more importantly want you to be happy with the sales, project planning and construction processes from beginning to end when working with us. Getting a project started with us is simple. Give us a call, we'll set an appointment at a time that works for you. A member of our team will visit your home to discuss your project with you. We provide a written estimate for the work to be performed and answer any questions that you may have. After your questions are answered, we leave you alone to consider your options and make your decision in peace. No Pressure! Entering into a contract with us is straight forward... We give you everything in writing. We detail what is to be done and what materials will be used. We do not ask for large deposits at the time we get together and sign the contract or even before work begins. We don't understand why you should have to give a contractor 50% or more of the contracted price as a down payment. Some other companies try to explain this as necessary to cover material costs or secure a slot on the schedule before he/she will begin work on your home. We feel this way, we are asking you to trust us with your home and it only seems right that we trust you to pay us when the work has been done. We are an established company, our credit is good with our vendors, therefore we do not have to pay for any materials needed for your project for 30 days after we purchase them so why should you have to pay up front? We want you to be satisfied and feel comfortable before you are asked to pay. Construction processes are completed with as much involvement from you as you desire. You are far more likely to be satisfied with your completed project and your investment in it if you are involved in as many decisions as possible along the way. We want you to call, communicate and meet with us to tell us what you want and need along the way. If you would rather just leave it up to us, we will make the decisions for you and keep you informed along the way. We are not looking to get rich from completing your project. We are looking to ultimately achieve all the monetary success we are seeking from completing projects for thousands of customers. The thousands of customers who you as well as all of our other customers refer us to because they are satisfied with the project we completed for them in the past. Referrals are what drives and grows our business. It is just that simple. Below is a list of some of the certifications and manufacturer endorsements Tri-State Window and Siding has secured to ensure you of the Highest Quality Workmanship when dealing with us. We've compiled links to the sources and agencies below to provide you with more information about each certification or endorsement. Harvey Building Products is a leading manufacturer and distributor of high quality building products. 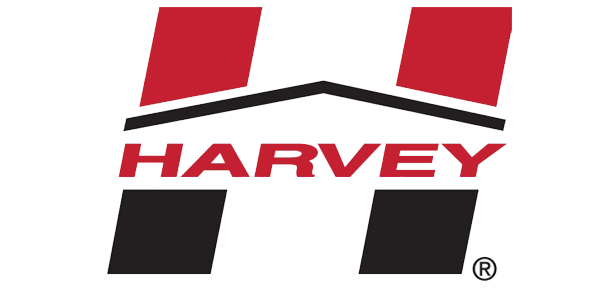 Founded in 1961 by hard working new england building product pioneers, Harvey has grown into new england owned, growth-oriented corporation headquartered down the road in Waltham, Massachusetts. Harvey Building Products manufactures superior quality, new construction and replacement vinyl and wood windows, Therma-Tru Exterior Doors and Harvey Patio Rooms right here in the Northeast. Harvey recently constructed a new state of the art manufacturing facility right here in our hometown of Londonderry, New Hampshire employing hundreds. Their new plant features improved automation, in-house testing lab, and a dedicated recycling area to help preserve natural resources. Harvey is one of the few manufacturers in the United States who design all of its own window products. Tri-State is proud of what the Harvey Building Products team has accomplished in our home marketplace. Harvey helps Tri-State every day by providing the very best window and door products and standing behind those products well into the future!. Tri-State is very pleased to be awarded the Harvey Building Products Platinum Level Master Contractor Designation. 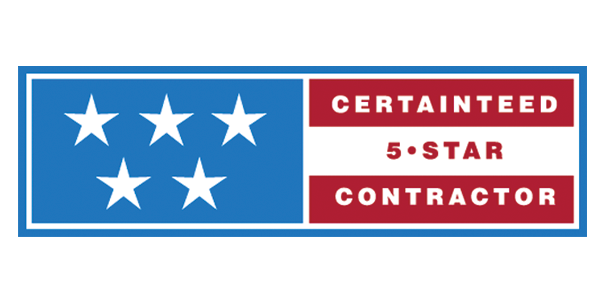 To become a CertainTeed 5-Star Contractor, the contractor must have successfully completed the following training programs: Master Craftsman: Vinyl Siding, Master Craftsman: Restoration Millwork VSI Certified Installer Training. As well as, provide Proof of Workman’s Compensation and General Liability Insurance (where required by law). Program provides a thorough understanding of CertainTeed’s lines of Vinyl and Fiber Cement siding, soffit, PVC trim, fence, rail and decking. 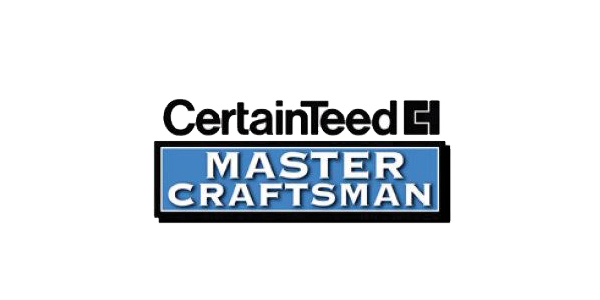 Contractor gains enhanced installation skills and an increased knowledge of CertainTeed products. A Mastic Elite Contractor has successfully at least five years of documented experience installing vinyl siding, be certified with the VSI - Vinyl Siding Institute as a Certified Installer, having completed VSI's Training. As well as, provide Proof of Workman’s Compensation and General Liability Insurance. 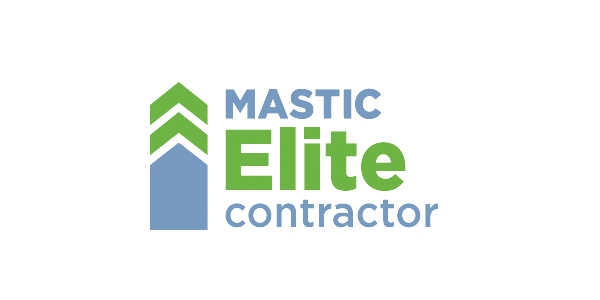 To be an Mastic Elite Contractor the company must maintain a BBB score of 90% or better. 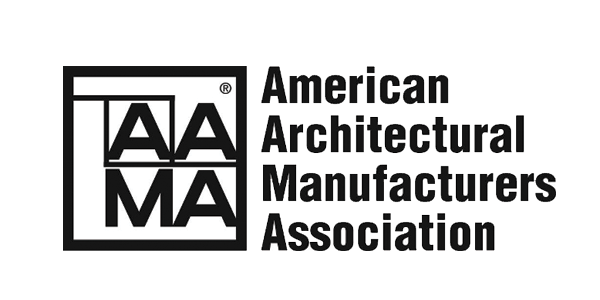 Developed by the American Architectural Manufacturers Association (AAMA), InstallationMasters™ is a nationwide training and certification program for new construction and replacement installers of windows and doors in residential and light commercial markets. The program is designed to teach installers the best practices and installation techniques based on established industry standards. Completion of the two-day program and successfully passing of the test allows participants to earn the InstallationMasters™ Identification Card, which shows they are officially certified through the InstallationMasters™ Program. Feel confident that your new Therma-Tru® entry door will be installed with the utmost care. 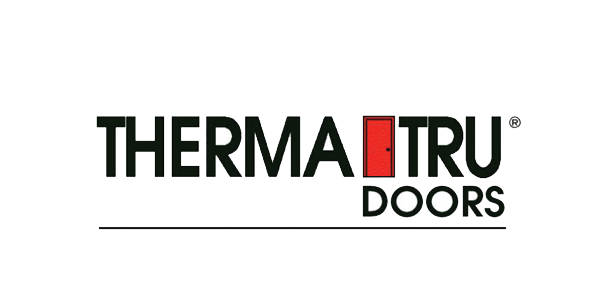 Therma-Tru Certified Installers have direct-from-the-manufacturer skills to install Therma-Tru door systems. Certified Installers have at least five years of door system installation experience, and offer a minimum one-year limited warranty on installation workmanship. Certified Installers are committed to promptly resolving any installation issue and they understand how the door system intergates with the home’s construction. So relax. Simply choose the Therma-Tru door system that matches your home’s beautiful style and allows you to express your individuality. Enjoy greater peace of mind for years to come! 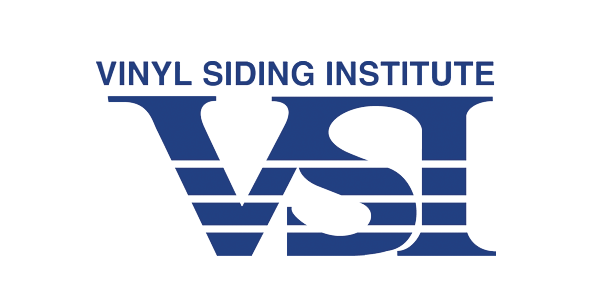 Offered through the Vinyl Siding Institute (VSI), the Certified Installer Program is a comprehensive training program for the installation of vinyl siding, soffit and accessories. Validated by an independent administrator, the program ensures that individuals are trained to complete installations in compliance with ASTM D4756, the industry standard. This training provides the additional benefits of improved installation quality, reduced callbacks and increased job site safety. 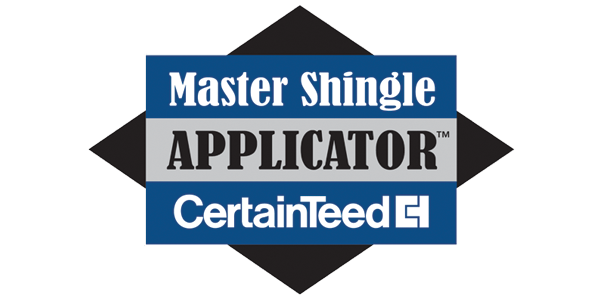 This is the top level CertainTeed roofing credentials, and represents the highest standards of excellence, quality and knowledge in the shingle roofing industry. An SSM has shown extensive knowledge of shingle installation and quality through rigorous testing, and have provided CertainTeed with proof of workers' compensation and liability insurance. Only an SSM can offer you the highest level of SureStart PLUS™ extended warranty coverage when an Integrity Roof System is installed on your home. 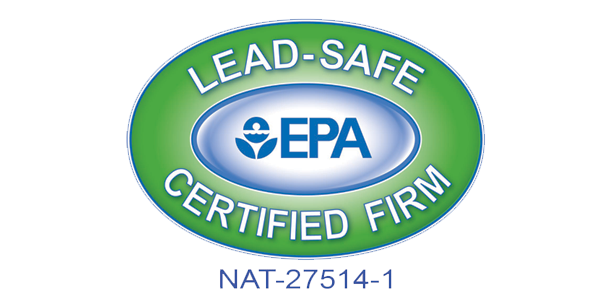 Effective April 22, 2010, the U.S. Environmental Protection Agency’s Lead-Based Paint, Renovation, Repair and Painting Program Rule (40 CFR Part 745) requires workers to be trained to use Lead-safe work practices and renovation firms to be EPA-certified. In general, the rule addresses remodeling and renovation projects disturbing lead-based paint in housing and/or child-occupied facilities built before 1978 must be trained and certified. These activities include, but are not limited to, repair, maintenance, electrical, plumbing, painting, carpentry and window replacement. The certified training includes on-site assessment & field testing, work area containments, cleaning practices, inspections and proper recordkeeping. For more information on this EPA mandate, visit www.epa.gov.